As I often see the question asked ‘what type of dog is the best for canicrossing?’ I thought I’d write a short blog on it. Firstly I’d like to point out this is not a scientific or fact based blog, simply my own thoughts and views on what type of dog makes a good canicross dog. 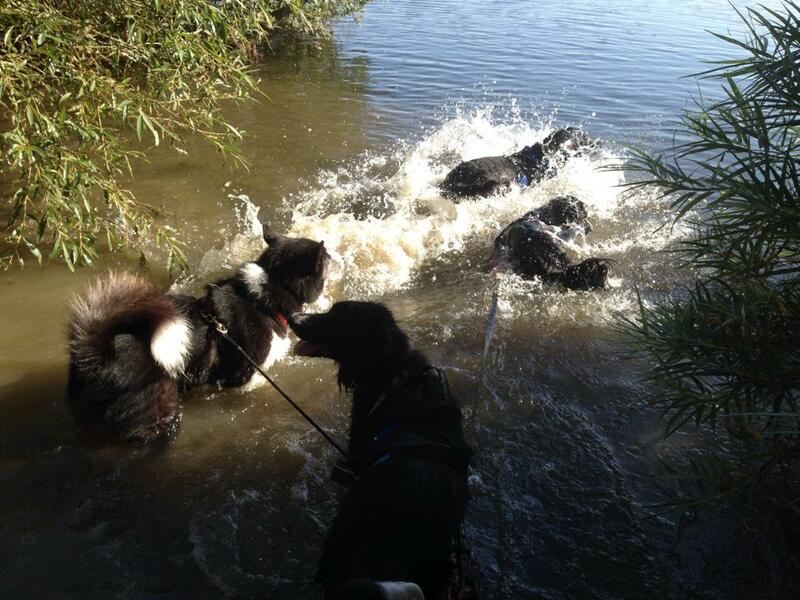 For a bit of background, I started in the sports of canicross, bikejor and dog scootering with my dogs not because I liked the sports and particularly wanted to take them up as a hobby, quite the opposite is in fact true. I didn’t even like running and hadn’t been on a bike since I was a child, but I have grown to love the sports because of the bond it has helped me create with my dogs. 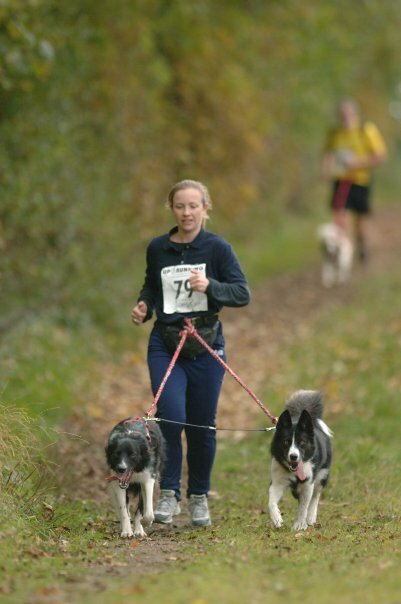 The first time I came across canicross, I found a race through Cani-X which was in my area, a friend had mentioned it and so I looked it up and started a bit of training at home with my dogs to make sure I could cover the distance. Not once did it ever cross my mind that there might be a type of dog more suited for canicross. 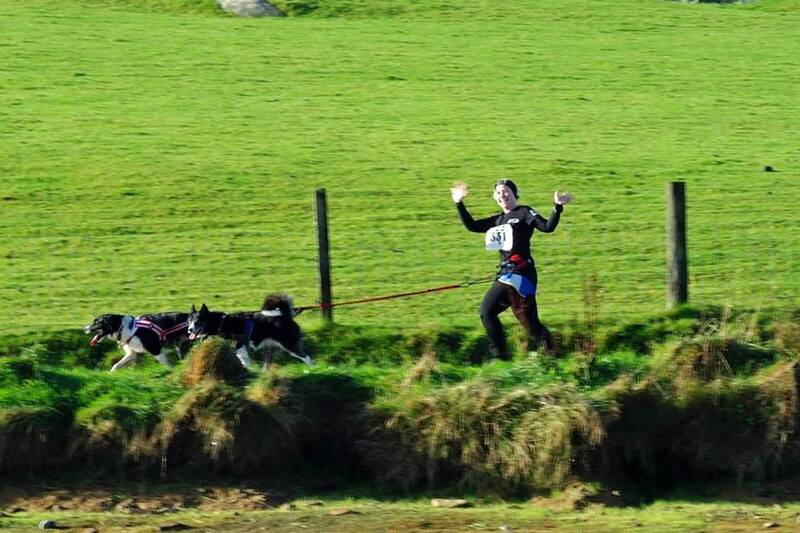 I was perfectly comfortable with the fact my dogs just loved running. 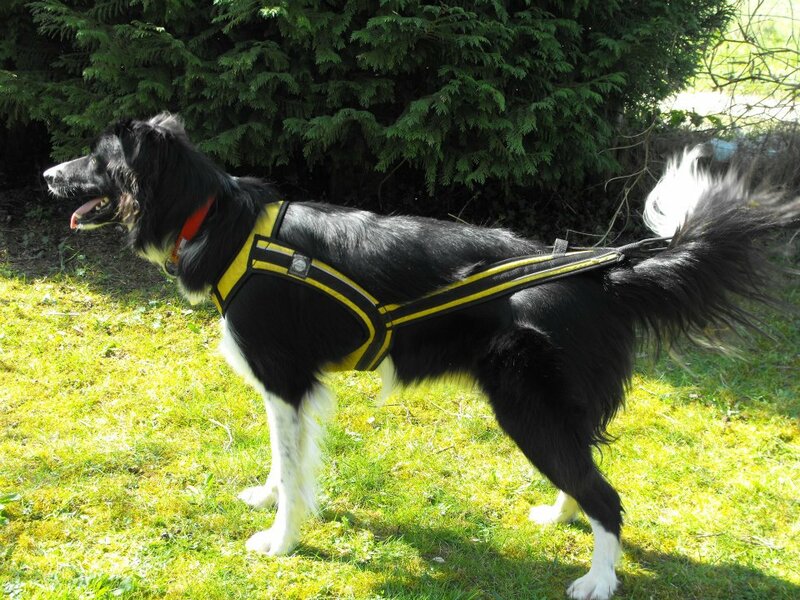 For me, I was finding a great new way to keep my two rescue collie crosses exercised. I attended my first race and from that point on was hooked. What struck me as being one of the best things about the sport of canicross, was the variety of breeds involved and how inclusive it was. I genuinely had no expectations when I turned up but realised very quickly this was something anyone could do if their dog wanted to run with them. I also observed that the winners of the classes didn’t just have big dogs and I remember in particular one competitor who ran with both a small dog and large dog in the two dog canicross, the little dog working just as hard as the big one and keeping pace. 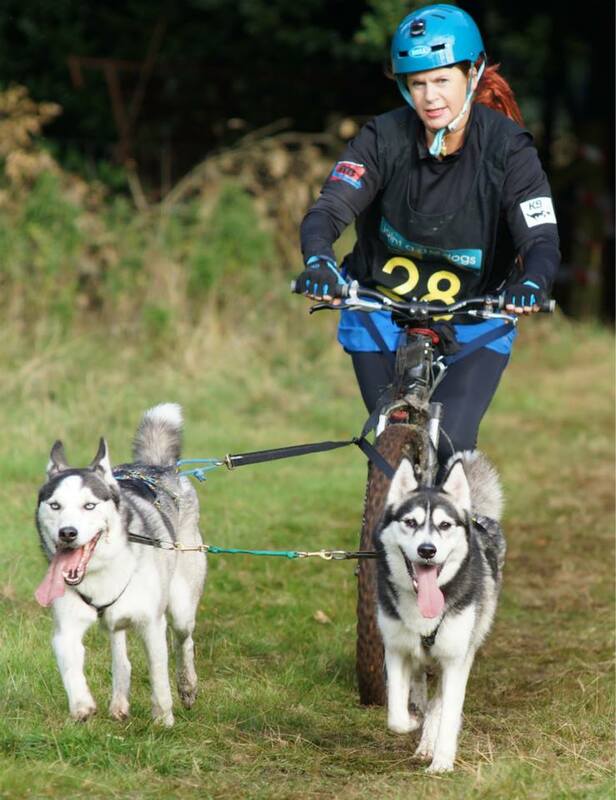 Now I have been involved in racing for a number of years and I have seen and taken part in, some of the biggest competitions in Europe, I am wiser about the types of dog which excel at canicross, bikejor and scootering. 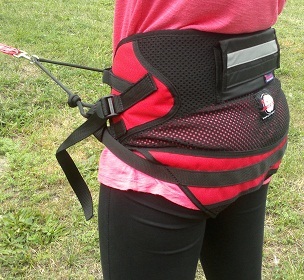 Traditionally it has always been the job of the sled dog breeds, so the huskies, malamutes and many other types of ‘pulling’ working dogs to be used, but now there is a trend to use hound types for what is known as ‘dry-land’ racing and more specifically what I do, which is known as the ‘mono-sports’ (canicross, bikejor and dog scootering) because you can participate with one dog alone. Many of the top European canicross competitors use hound crosses (usually with some type of pointer and some element of sled dog) and these dogs have developed their own pedigree based on their athleticism and ability to cover the ground with much larger strides than the traditional sled dogs. Their popularity is largely down to the fact these dogs excel at covering the sprint distances in the much warmer temperatures we experience in Europe for most of the year. 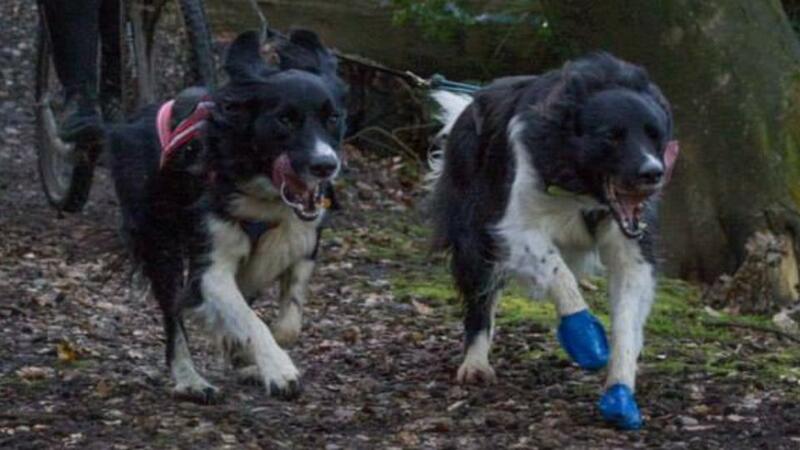 These dogs are undoubtedly ‘built for purpose’ and are incredible to watch. So if you are serious about the sports and competing at a European and International level you may feel you need a dog of this type to be able to compete in a level playing field. 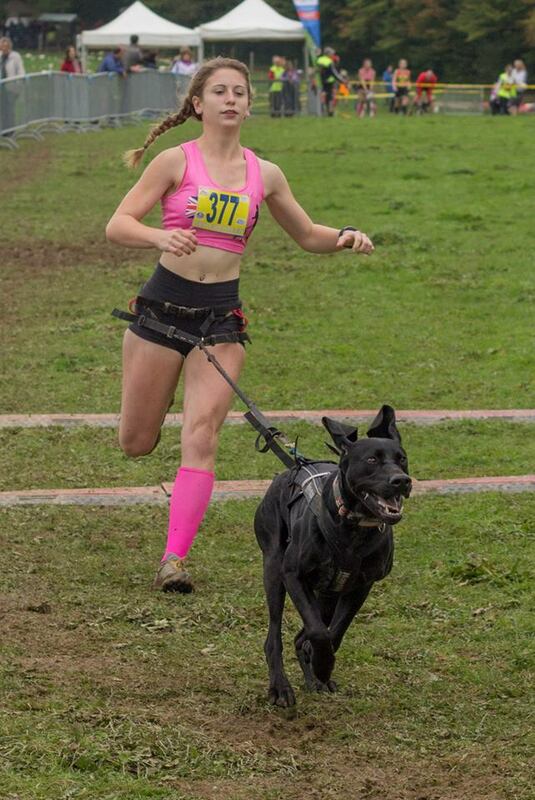 My personal opinion is however, that any breed of dog with good basic genetic conformation and no obvious limiting breed traits (ie, the short nosed breeds who may struggle getting enough air in their lungs for the sports) with a passion for running, can achieve just as much if the person training and running with them also has the athleticism and ability to allow the dog to run to its full potential. What you have to remember is that unless you are going to keep dogs for the sole purpose of canicross, bikejor or scooter racing, they also have to fit into your lifestyle and be a dog you can live with day to day, in addition to the fun you will have taking part in the sports. Unfortunately there are far too many dogs in rescue in the UK and a worrying amount of them are now sled dog breeds because people think they look gorgeous (which they do) but don’t understand the characteristics of the breed and can’t cater for them around every day life. It is much more sensible to choose a dog for your lifestyle and then train together to enjoy the sports, than to take on something you may not necessarily be able to cope with because you think they will make a better running companion. 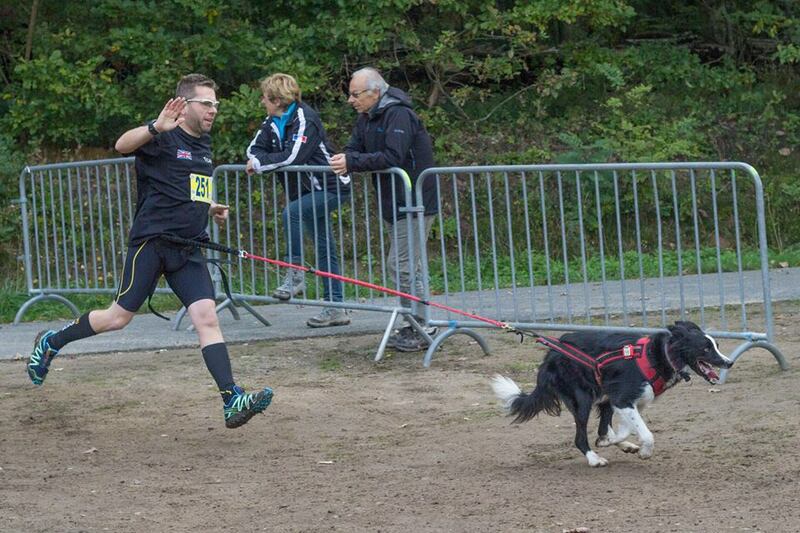 In summary, with canicross, bikejor and dog scootering in the UK and Europe being open to all breeds of dog, my opinion on what makes the best running dog is that your dog makes the best running dog! The best dog teams I have seen competing are those based on a strong bond that has been built by the handler with their dog over time and I have seen seemingly very small dogs, running their hearts out because they have the drive and motivation to work for their owner.